in a secluded corner of central Rome where nobody ever goes. An out-of-time location to come across the shortest international railway in the whole world. 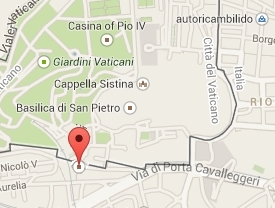 Leave St. Peter behind and take the Via della Stazione Vaticana, up to its dead end. Nobody would imagine that, upon entering a small iron gate, a stretch of rail tracks is found leading to a great arched doorway carved out in the Vatican Walls. 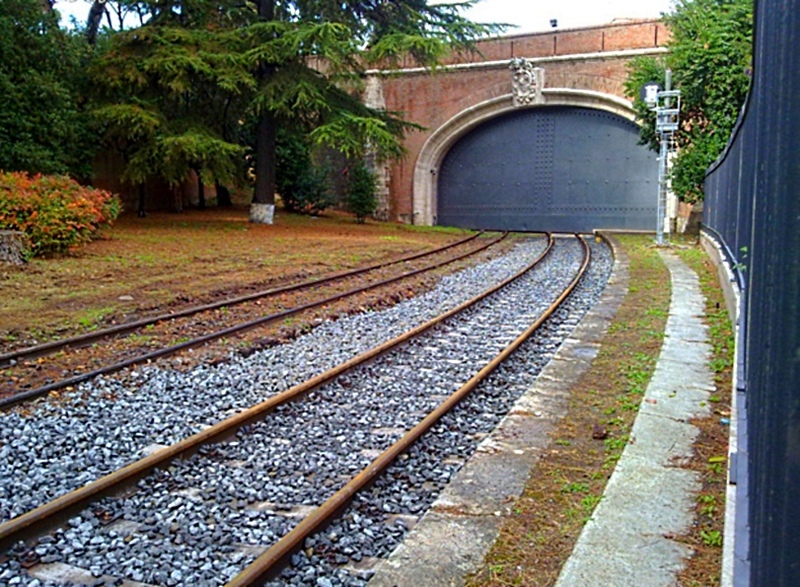 These are the tracks of the smallest and shortest international railway line in the world, connecting the Holy See to the Italian territory. A line spanning a distance of only 4.166 feet to the nearest Italian rail junction, Stazione di S. Pietro nearby. 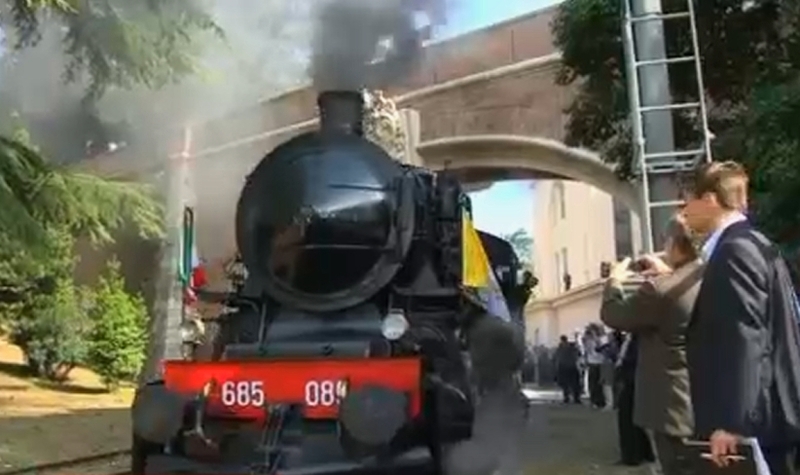 The railway stretch was built in 1933, following the Lateran Treaty between the Vatican City State and Italy. 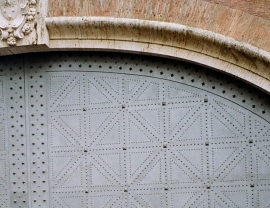 The Vatican Rail Gateway is only rarely opened for the passage of the Popes leaving the Holy See for pastoral visits to Italian locations and sanctuaries. Both John Paul II e Benedict XVI have travelled in recent years under the marble-decorated archway. The place is secluded and out of any local or touristic route: even Roman know nothing about the Rail Gateway of their Popes. 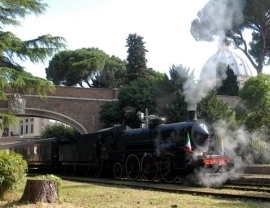 A short little-known railway which serves the world’s smallest state, Vatican City, is scheduled to reopen for one day only on May 21, 2011. 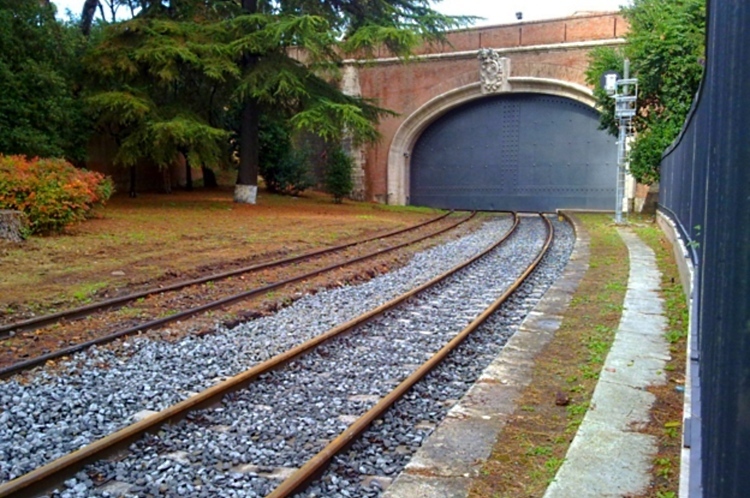 The initiative will see the huge iron gates rolled back from the tunnel that links the Vatican railway tracks to the Italian national network. A classic 1930s steam engine - no less - will pull out of the Vatican's iconic railway station bound for a day in the Roman countryside... to mark the 60th Anniversary of Caritas Internationalis and to raise funds for its worldwide humanitarian work.